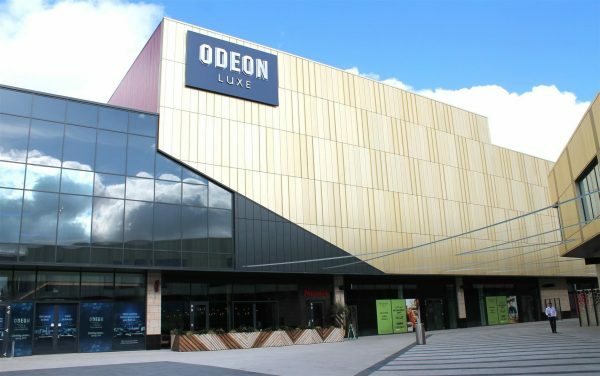 April 12th has been confirmed as the opening date for the new ODEON Luxe cinema at The Springs Retail Park in Leeds offering local film fans a completely unique cinema experience. Designed by The Harris Partnership as the centrepiece of the £162 million, 350,000 sq ft retail and leisure destination at Thorpe Park in east Leeds, the cinema features 971 handmade reclining seats across 10 brand new high-tech screens and will be home to the UK’s second Dolby Cinema screen – the first outside London following the reopening of ODEON’s flagship venue at Leicester Square. The complex also boast an ODEON iSense screen that is taller than a double decker bus and curved to maximise light reflection. Dolby Cinema Europe states that Dolby cinema is how many Hollywood directors want their films to be seen and that the format is unrivalled in terms of vision and sound, whilst the curved theatre means the screen will be front of view from every angle. The Harris Partnership has delivered design and planning for the retail-leisure element for the developer partners Scarborough Group and Legal & General at Thorpe Park where the ODEON Luxe cinema is creating 80 new jobs in the local area.